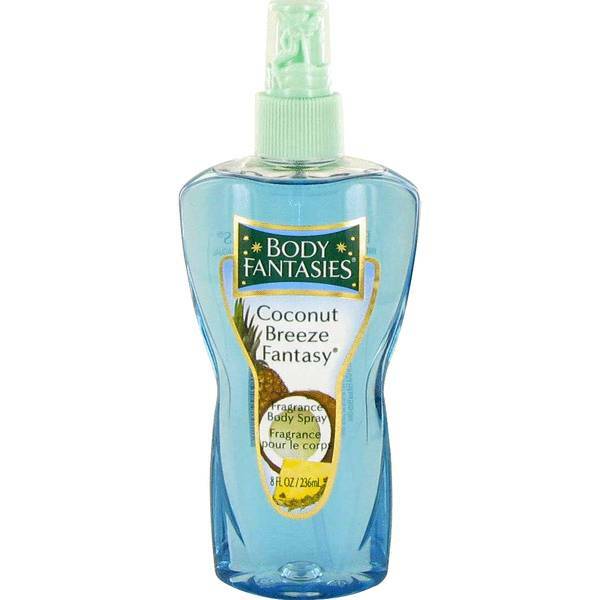 Body Fantasies Coconut Breeze Fantasy Perfume by Parfums De Coeur, Body Fantasies Coconut Breeze Fantasy is a fragrance that was released by Parfums de Coeur in the 2000s. This fragrance falls into the oriental vanilla category, and as its name suggests, it has a strong coconut scent. This coconut aroma mixes beautifully with notes of nectarine and vanilla, creating a quite pleasing perfume. If you want to a mental escape to a tropical island, you might want to give this fragrance a try. Read More Read More Parfums de Coeur is cosmetics and personal wellness company that was founded in the early 1980s. This company is based in Stamford, Connecticut, but it distributes products in over 60 countries. It is now known as PDC Brands. It sells a variety of products, such as fragrances, hair care, cosmetics, body lotions, and body washes. This company is one of the fastest growing beauty companies in the world, with a large portfolio of category-leading brands, including Calgon, Bodycology, as well as a number of others. All products are original, authentic name brands. We do not sell knockoffs or imitations.